Engineered to Magma's mission critical standards for performance and reliability, ROBEN-3TX features three (3) full-length, full-height PCIe slots with a robust, high speed backplane. 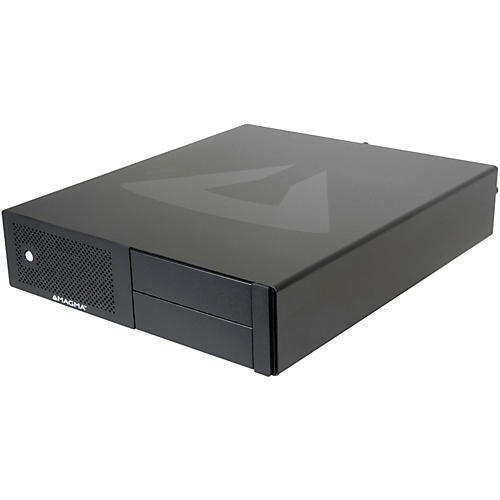 The rack-mountable aluminum chassis was designed for integrated removable storage expansion, providing flexibility with two customer configurable 5.25" expansion bays, a 540-watt power supply, auxiliary power, and features Magma's exclusive quiet cooling control. From initial concept, the ROBEN-3TX Thunderbolt configuration has been precision engineered to be the "perfect sidekick" for the new Apple Mac Pro and other Apple and PC devices. Fuel your creative genius by adding a host of specialty PCIe cards to any Thunderbolt 2-equipped computer to achieve expanded performance in every working environment. ROBEN-3TX's patented performance optimizing backplane seamlessly integrates PCIe expansion, storage, and Thunderbolt 2 connectivity and ensures that all devices installed in the system operate with the maximum possible speed, and minimum potential for data loss. This design gives audio engineers, video producers, game developers, and graphic designers the same level of data fidelity that had previously been reserved for defense and aerospace industry projects. With the fastest card-to-card communication, integrated high capacity storage, and the largest expansion capacity on the market, ROBEN-3TX sets the bar for high-end Thunderbolt 2-based computing.